The E3D V6 Extra Nozzle 3mm - ​Hardened Steel​ is compatible with the Ultimaker 2+ family and the 3DP (3D Platform) 1000. It is a super-tough, wear-resistant nozzle designed to print abrasive materials, such as ColorFabb’s BrassFill and CopperFill, without wear. Hardened Steel is a worthwhile upgrade over Brass, because it is a much more durable material that basically eliminates wear. 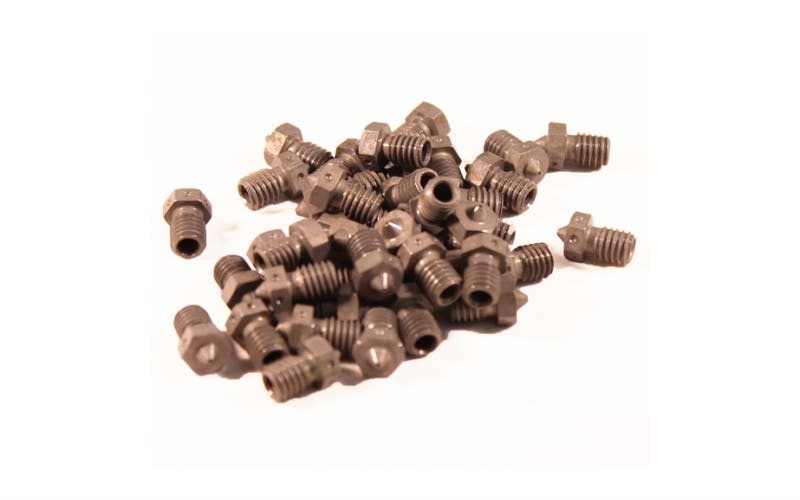 If you have found yourself swapping out the brass nozzles on your 3D printer due to wear, a hardened steel nozzle won’t need replacing at all. With a hardened steel nozzle, you are able to print with CopperFill, BronzeFill, SteelFill, BrassFill and other abrasive materials without the risk of wear. 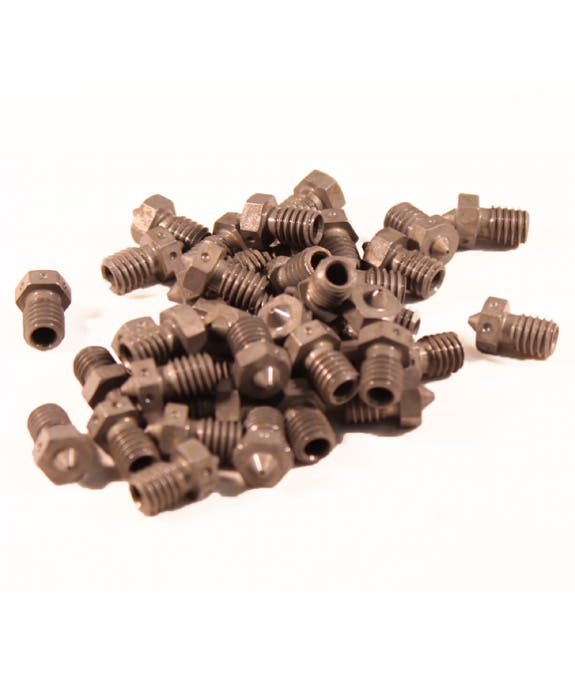 The product for sale on this page is an official E3D product, and comes in sizes 0.25mm, 0.3mm, 0.35mm, 0.4mm, 0.5mm, 0.6mm and 0.8mm, to suit a wide variety of filament diameters. In the package you will get a single nozzle, so if you need more than one size, then please select multiple sizes from the dropdown to your right. Unsure if this E3D V6 Extra Nozzle will fit your 3D printer? drop us a line at web@goprint3d.co.uk or call us on 01765 694 199 and we’ll help you to choose the right nozzles.